According to Parse.ly, an audience analytics firm tracking thousands of websites, search engines and social media account for “just” 50 per cent of traffic to articles across their network. In fact, editorial and recirculation, i.e. 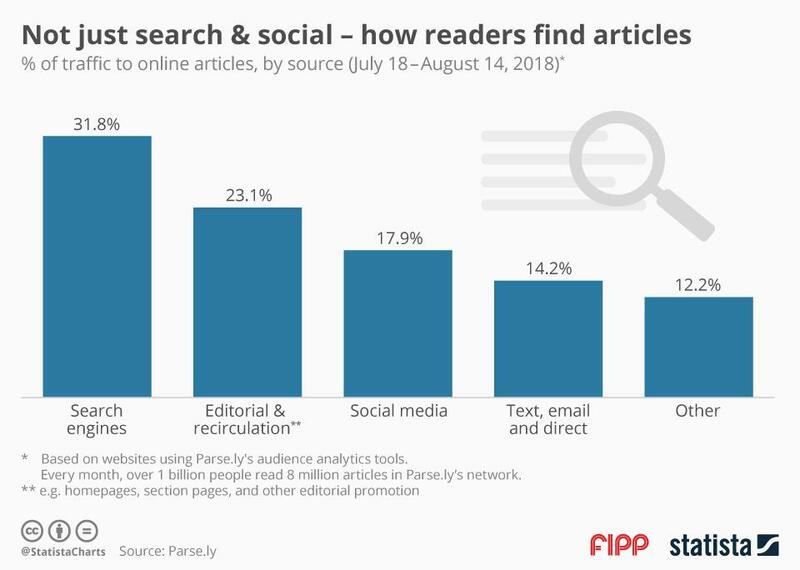 traffic from homepages, section pages and other editorial promotion, drove more traffic than social media during the survey period (July-August 2018).